A mish-mash of lush textures, our Bloco bedspread fuses cotton, velvet and chambray to striking effect. Wherever you place it, this piece will gather admiring glances. Patchwork is having a serious moment right now and this bedspread taps that trend. We love the eclectic feel the varying shapes give this piece – it’s like a work of art. 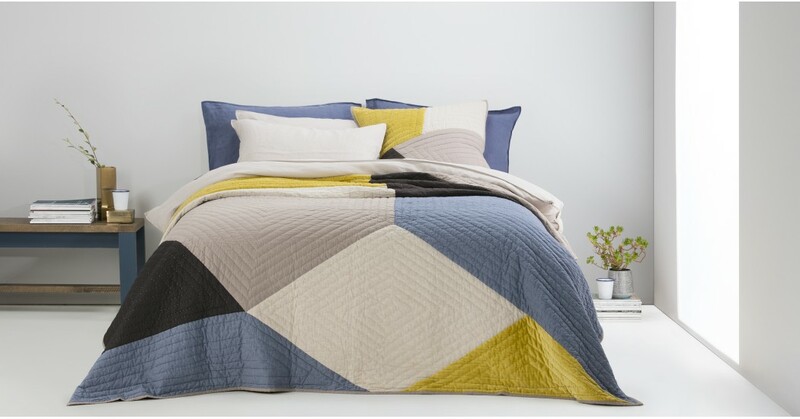 Cosy and quilted, this bedspread is perfect for snuggling under during the chilly winter months. We’re getting excited about the dark evenings just thinking about it.